Here’s the latest on Oga’s Cantina in Star Wars: Galaxy’s Edge – plus the all the updates on news, weather, and closings this week at WDW. Oga’s Cantina. Concept art courtesy of Disney Parks Blog. 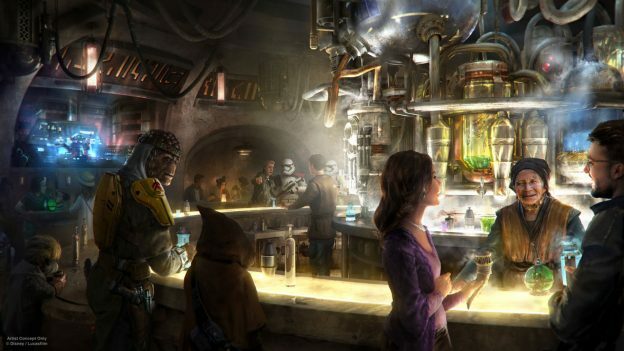 Oga’s Cantina will be the happening place for smugglers, er, guests when Star Wars: Galaxy’s Edge opens in 2019. Oga Garra is the manager of this newest tavern-type establishment, which will feature an assortment of entertainment. Characters of all sorts (stormtroopers, aliens, and maybe a familiar face or two) will frequent the cantina. Expect to sample exotic beverages and out-of-this-world fare. You can bet the Disney creativity will come to life in the form of specialty cocktails and a variety of other options. RX-24 (the pilot droid from Star Tours) will be the DJ responsible for your musical amusement. We’ll keep you updated as more information becomes available. But, isn’t this exciting! Exclusive Photo Opportunities During Mickey’s Not-So-Scary Halloween Party Photo courtesy of Disney Parks Blog. There are so many neat things about Mickey’s Not-So-Scary Halloween Party, but one of the coolest has to be the photo opportunities. Disney PhotoPass photographers are scattered throughout Magic Kingdom to offer up some ghoulish Magic Shots. One of the best is the chance to pose with the Headless Horseman! Another has you stirring up poison apples in front of a huge caldron. You can capture the spirit of the night with a few Hitchhiking Ghosts, or even become a floating disembodied head held by the Hatbox Ghost! 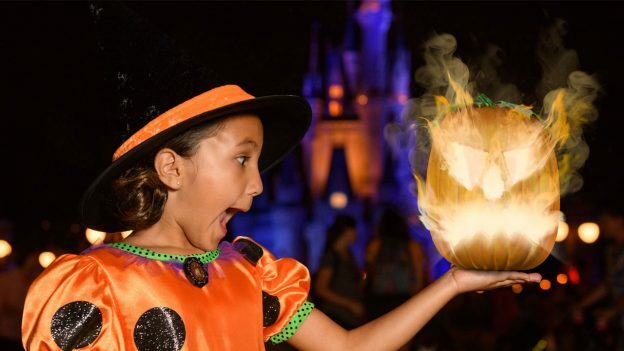 Magic Shots are the best way to capture spooktacular memories of your visit. 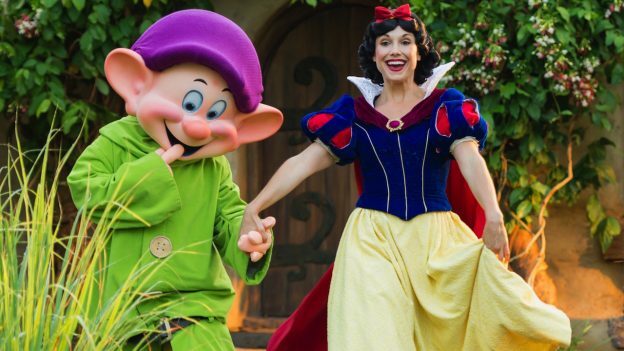 Snow White will be featured in a new character breakfast. Photo courtesy of Disney Parks Blog. Disney’s Wilderness Lodge is the latest host of an all-new character dining experience. Storybook Dining will arrive at Artist Point this fall, and it will bring Snow White, Dopy, Grumpy, and The Queen! Prior to this announcement you could only encounter the Dwarfs and Queen at special events, so this is a huge addition to character dining experiences! The menu will be prix fixe but hasn’t been released yet. Minnie Vans now go to MCO. Photo courtesy of Disney Parks Blog. Guests have spoken, and Disney listened. Although the Magical Express is a great way to get from the airport to your Walt Disney World Resort hotel, many people wanted a quicker, more private way to travel. 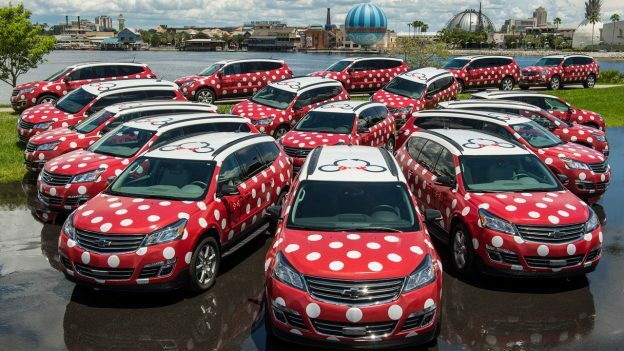 Now you can reserve a Minnie Van airport shuttle. You have to call 407-WDW-PLAY in advance to schedule your airport van and the service is available 7 AM – 10 PM for arrivals and 9 AM – 12 AM for departures. The vans seat 6 passengers and up to 3 complimentary car seats are available. The cost is $150 per van, one way. Living with the Land – Behind the Seeds. Photo courtesy of Disney Parks Blog. Disney Youth Education Series has added a Behind the Seeds’ Program for students in grades K through 12. Groups of 10 or more can explore Living with the Land and learn about sustainable growing techniques and even how to use them at home. 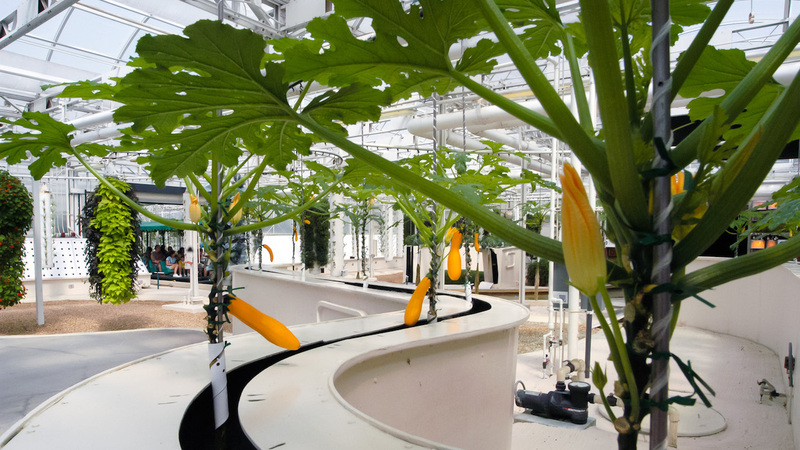 The three-hour program will also cover hydroponic techniques and be highly interactive. More information and registration can be accessed through DisneyYouth.com. A new baby giraffe is here! Photo courtesy of Disney Parks Blog. 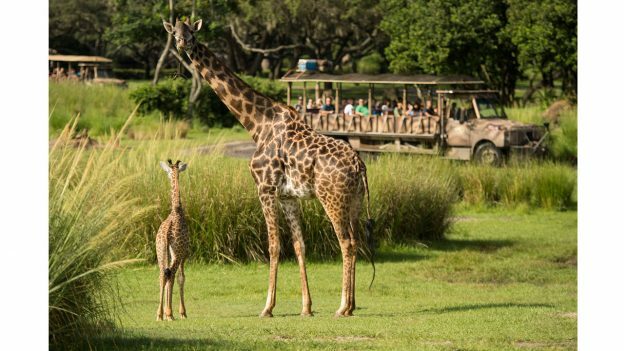 Kilimanjaro Safaris recently welcomed a new baby giraffe to the savanna! Aella was born June 29th but needed some quiet bonding time before joining her herd onstage. She is a Masai giraffe, a breed that is considered threatened and endangered, and was bred to ensure the species continues to live. Although Aella is the smallest giraffe on the savanna, she is still over 5 feet tall! Be sure to check her out next time you are at Disney’s Animal Kingdom. Disney Junior Live on Stage will close September 2 in prepare on for a new show, Disney Junior Dance Party!